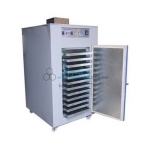 Ovens India, Ovens Manufacturer, Ovens Suppliers & Ovens Exporters in India. 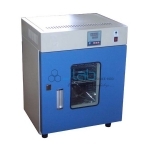 JLab is renowned Exporters & Manufacturers of Ovens & Scientific Lab Instruments India, Ovens Exporters, Ovens Suppliers India. Safe, Superior Protection for Sample, User and the Environment. 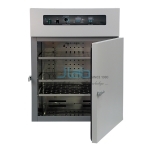 Multiple redundant over-temperature protection systems to guarantee maximum sample and user protection. This unit has double walled chamber with interior made of Stainless Steel and Exterior is either made of Mild Steel finished.